The mystery surrounding the White Huns is matched only by the terror they inspire in their victims. From the bleached slopes of the Hindu Kush, they look down on the civilised world and lust. For every land they ravage, a new myth is born – the Romans dub them Huns, thinking them alike in their deformed skulls and martial prowess; the Sassanids bestow Iranian names on their new rulers in keeping with their splendour; the Chinese see them as a sacrilegious threat lurking in the wastes beyond their walls. None of these myths are by themselves sufficient to describe the power the White Huns currently wield. In reality, they represent a nomadic confederation, Turkic in origin but invigorated by a confluence of cultures whose sum is far greater than its parts. As yet, their war machine has proved unstoppable. Empires across the world have felt their wrath and now their baleful eyes have settled on the fertile lands of the Sassanid Persians. Like the mountain mist they will descend and smother the excesses of this most indolent of nations! 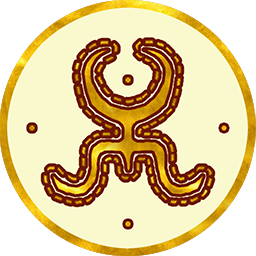 The elders of noble Hephthalite families are considered the wisest, and therefore the most qualified to give council to their warlord. 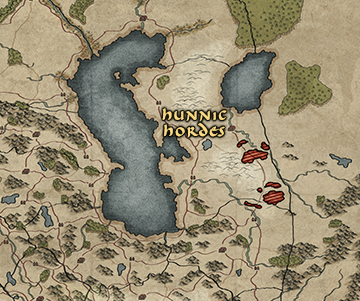 Brutal nomads from lands unknown, the White Huns have descended from the steppes to subjugate the wealthy eastern kingdoms, and all others who stand in their path.